Come for the view. Stay for the bells! Reason for Contact * General Info Event Info Website Error Please select a reason for your comment. This failed the Honey Pot Test... are you a bot? Memorial Day – September 30 – open daily from 10 a.m. – 4 p.m.
Saturdays & Sundays in May & October open from 10 a.m. – 4 p.m.
How to find us? Come listen to the bells play a tune and ride the elevator to the top for an amazing view! Click to plan a Visit soon! Support the Tower Click here to see the many ways you can help support the Mahanay Memorial Tower! 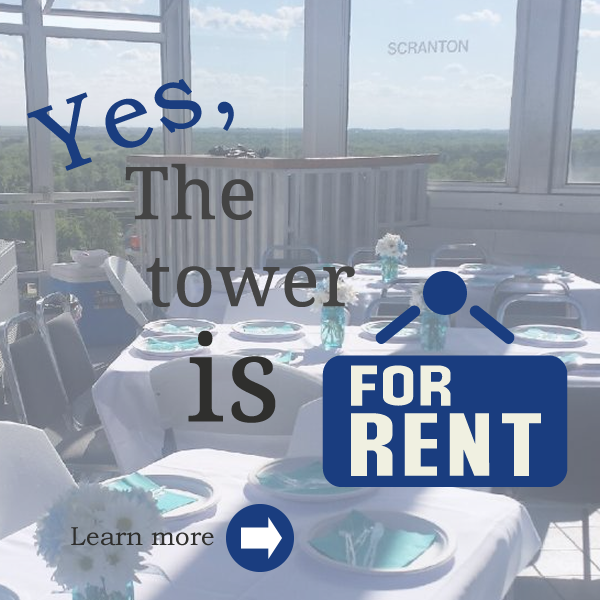 Did you know... Click here to see fun facts about the Mahanay Memorial Tower! Copyright © 2019 Bell Tower Community Foundation. All rights reserved.